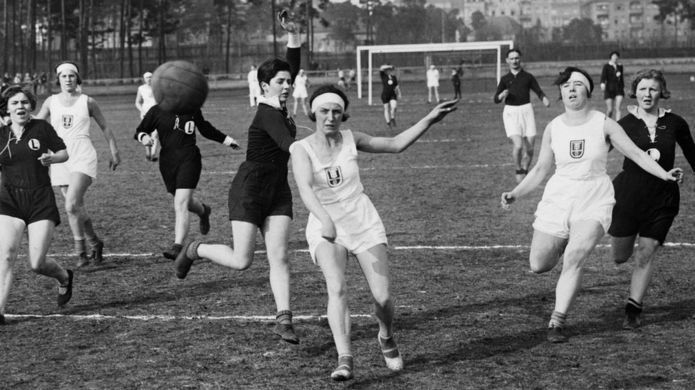 In the early 20th century, women's sports clothing was not designed for them to excel, it was restrictive and affected their mobility. 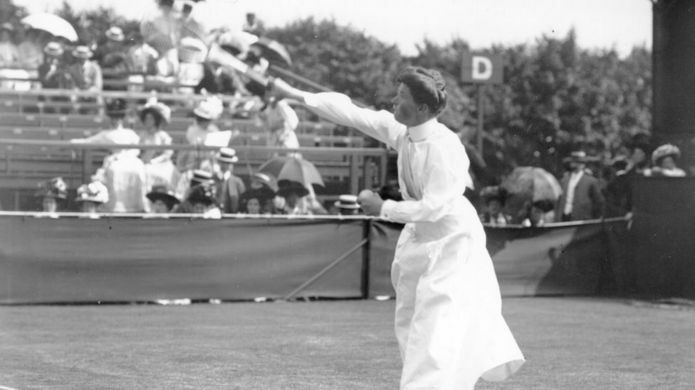 Donning long dresses and hats to keep the "feminine" look intact on court or field was not only uncomfortable but also impacted women's athletic performance. Over the years, as women have become more active in sport, their sportswear has also become more practical - though there are some exceptions. As part of the BBC 100 Women challenge tackling sexism in sport, we take a look at how women's sportswear has developed over the decades. 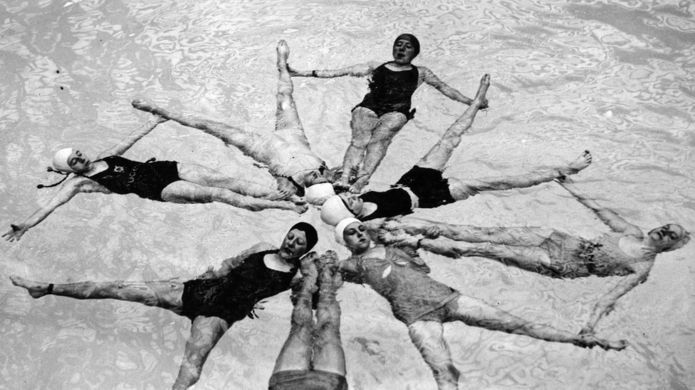 Women competed in the Olympic Games for the first time in 1900. Female athletes made up just over 2% of those taking part and competed in five sports, including tennis. At the time women wore long skirts which covered their ankles and long sleeves. 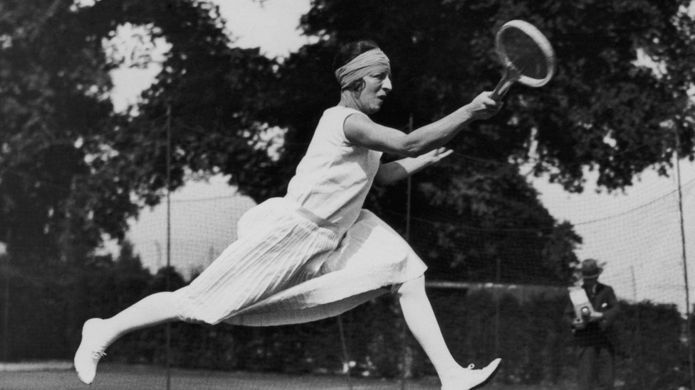 French tennis player Suzanne Lenglen was revolutionary. As well as dominating female tennis in her era, she changed the style of women's dress. Lenglen swapped long skirts for short-sleeved pleated dresses to compete in style, and also wore a bandeau, which became her trademark. "All women players should go on their knees in thankfulness to Suzanne for delivering them from the tyranny of corsets," said American tennis champion Elizabeth Ryan, a contemporary of Lenglen. The clothes female tennis stars now wear is much more suited to the fast-paced nature of the modern game. Players are also pushing the boundaries to be stylish on court. Tennis ace Venus Williams launched her own fashion label in 2007. The sport is now synonymous with glitzy and colourful costumes, and waterproof make-up. The sport was introduced to the Olympics in 1984, and a lot of thought and time now goes into aesthetics. Canadian competitor Erin Willson told the Globe and Mail newspaper ahead of the 2012 London Olympics: "We're a very artistic sport. So the the whole look is important.. you have to have the perfect hair, the perfect suits, the perfect bodies." Image caption The Brazil team perform at the 2016 Rio Olympics. Isabela Fleury, Brazilian handball player and one of the BBC's 100 Women this yea r, is part of a Rio de Janeiro team who recently rebelled against standard beach handball bikini outfits for women, causing a media stir. "The last time we tried to play we were wearing shorts and they asked us to take them off as they wanted us to wear speedos," she said. "We protested and they threatened us so we had to take the shorts off and wear bikinis to play the game. They are now changing the rules." In 2014, a row also erupted in the Basque region of Spain after women beach handball players complained that the regulations for women's kit were sexist, with men allowed to wear loose clothing. Women's football kits have links to the suffragette movement in Britain. Lady Florence Dixie, a prominent suffragette and president of the British Ladies Football Club, saw football as a weapon to subvert Victorian dress. "There is no reason why football should not be played by women, and played well too, provided they dress rationally and relegate to limbo the straitjacket attire in which fashion delights to attire them," she wrote in 1895. 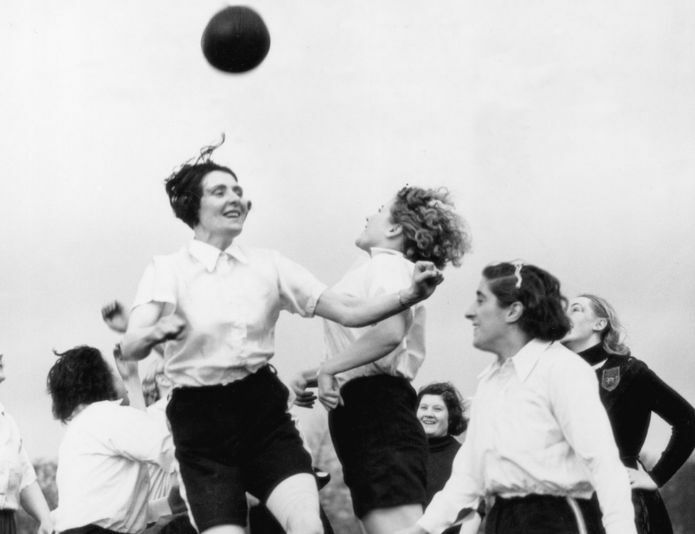 In 1921, the UK's Football Association banned women from playing on FA-affiliated pitches. It said football "was quite unsuitable for females and ought not to be encouraged". The ban was finally lifted in 1971. In 2014, FIFA officially allowed players to wear head coverings, including hijabs, while playing football for religious reasons. The world football body had previously banned headscarves by arguing they could put players at-risk of suffering a serious head or neck injury.